It’s game day ladies and gentleman! 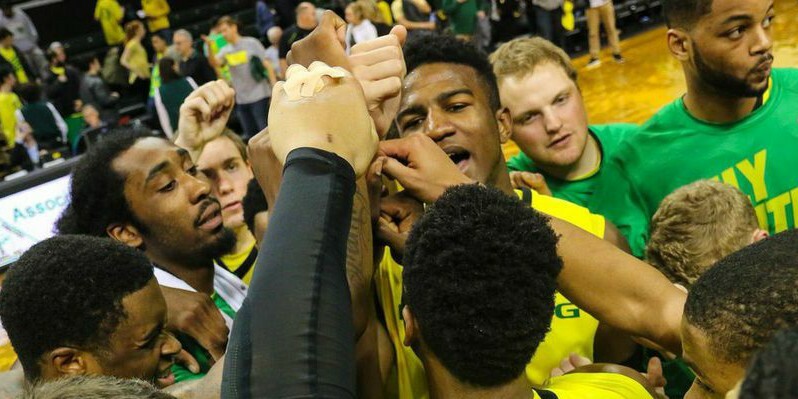 Oregon is taking on Washington State this afternoon at Matthew Knight Arena in an epic match-up that will most likely be a close one similar to the first game. When the two teams met up the first time, the game went all the way to overtime with the Cougars winning at home 108-99. A combination of dazzling three-pointers and numerous trips to the foul line were the determining factors that led Washington State to win against the Ducks. Oregon just came off a dynamic victory over the Huskies 78-74, while the Cougars are coming off a disappointing loss to the Beavers 55-50. Currently, the Ducks stand at 16-7 so far this season, 6-4 in the Pac-12, and are averaging around 76.5 points per game, while also shooting 46% from the field. Meanwhile, Washington State is 10-12 and has lost five of their last six games. They’re shooting 43% and are averaging roughly 70.4 points per game. 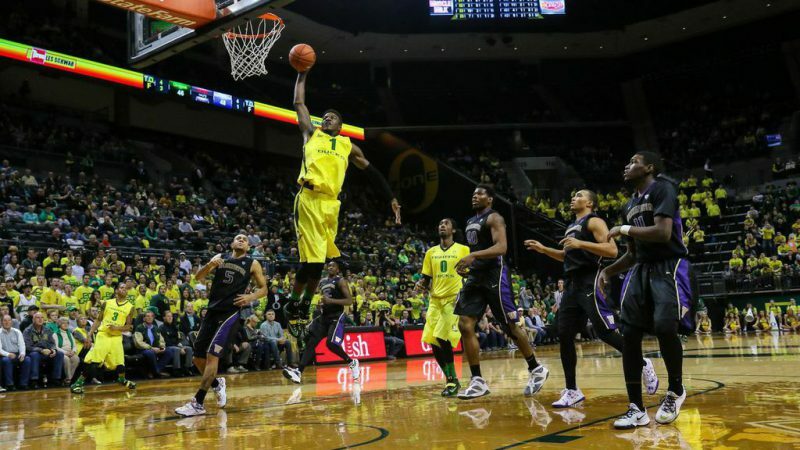 This is one of the few highlights C Jordan Bell had for the Ducks. If Oregon wants to “Win The Day”, Bell is going to need to be a bigger influence. Going back to the first time these two teams met, it was mostly Oregon’s inability to establish a strong inside game that proved to be costly for them at the end of the day. Even though it was a nail-biter all the way until overtime, the Ducks were never able to get C. Jordan Bell involved heavily in the game. Finishing with two of three from the field simply doesn’t cut the mustard and Oregon will for sure need to get Bell involved once it’s game time. For the Cougars, it was their inability to guard strong and play smart defense that allowed the Ducks to remain even with them throughout the game until overtime. Washington State struggled to force turnovers but was still able to keep Bell’s influence in the game to a minimum, which proved to be significant in this game. If we were to ignore all the previous statistics to predict the winner of today’s game, the edge would ultimately be given to Oregon. The Ducks are better offensively and defensively as shown in previous games, despite the fact that they lost to the Cougars at Pullman, WA. Plus, this is the season-finale between Oregon and Washington State, so there’s no doubt that the Ducks will go all-out and will do anything in their power to get revenge against them. If the Cougars were to miraculously come out of Matthew Knight Arena with an impressive victory, it will essentially depend on their getting to the free-throw line multiple times and playing smart defense.